Speed Hooks available upon request. Note on your tracing sheet. 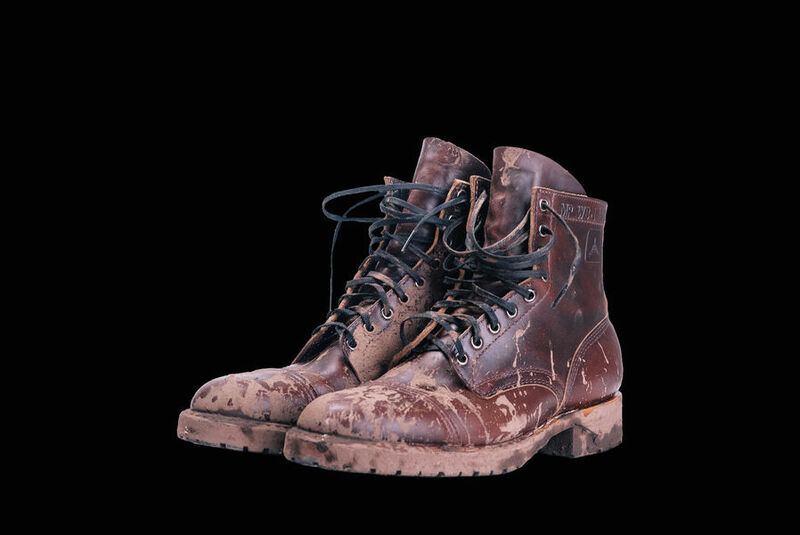 Standard issue to US Army and Air Force soldiers and airmen at the start of World War 2, low service boots are an American icon. Handbuilt from start to finish, White's MP rendition of this classic is hand sewn, hand lasted, and hand bottomed. 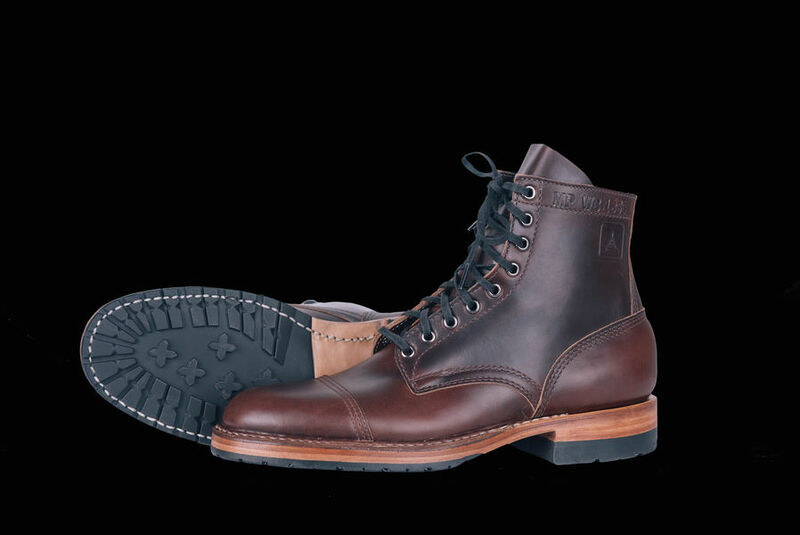 Norwegian-welted by hand for ultimate comfort and quality by artisan craftsman, MP Service Boots are rebuildable and resole-able for a lifetime of service. 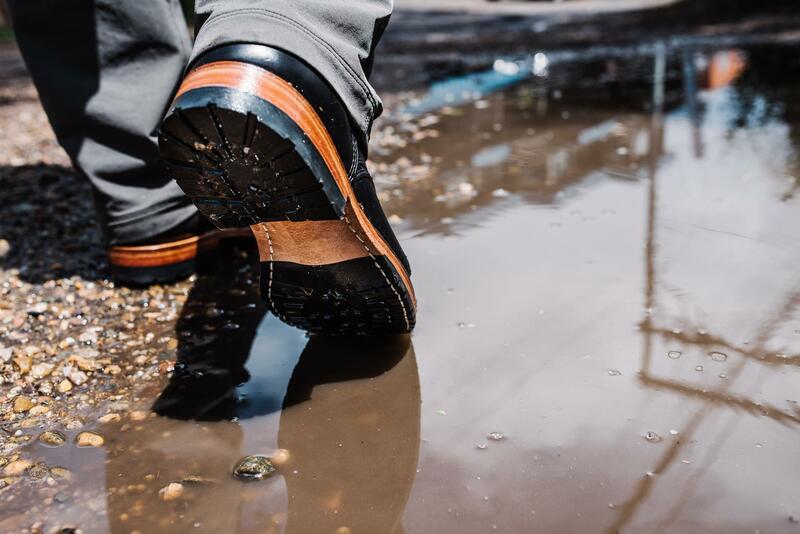 Built on a Barrie dress shoe last using a leather shank and midsole, they provide excellent support and conform to your feet. The TAD edition features gunmetal eyelets, gunmetal topstitching throughout, triple-needle toe cap stitching, and TAD logo on the outside quarter on both boots. 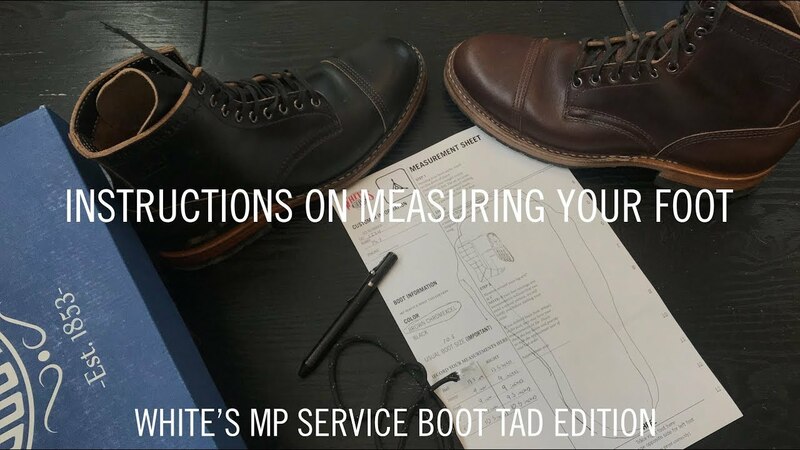 The MP Service Boot is available in half-size increments from 5 through 11.5, and whole sizes 12 and 13, in B, C, D and EE widths. After purchasing you will receive instructions on how to measure your feet. 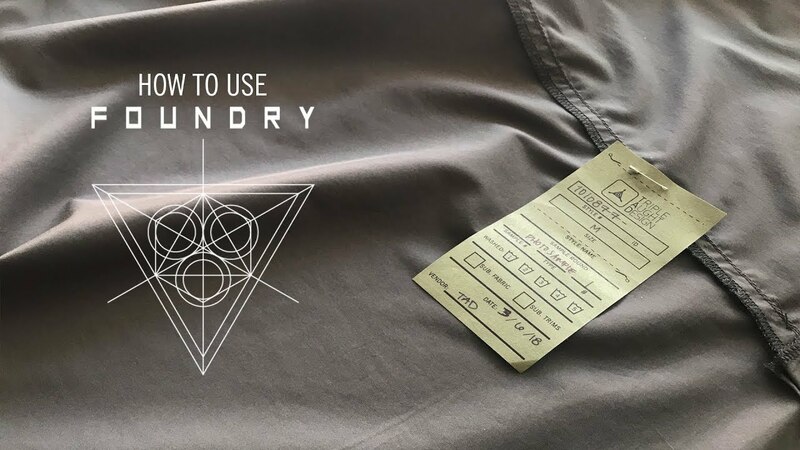 Our Customer Experience team will use these measurements to help you determine your size. 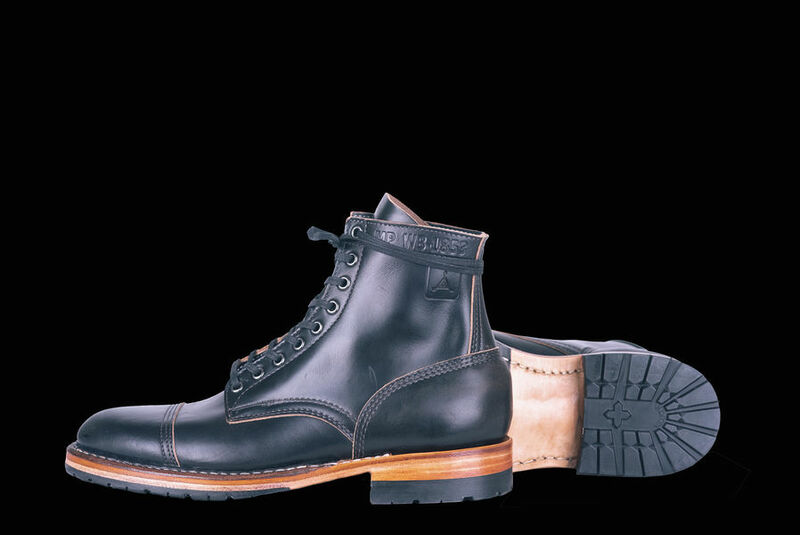 Since White's boots run a little large, customers usually select 1/2 size shorter than their normally purchased boot size. Built to explore the boundaries of imagination, Foundry is our forge for special fabrications, unique colorways, and product experiments. 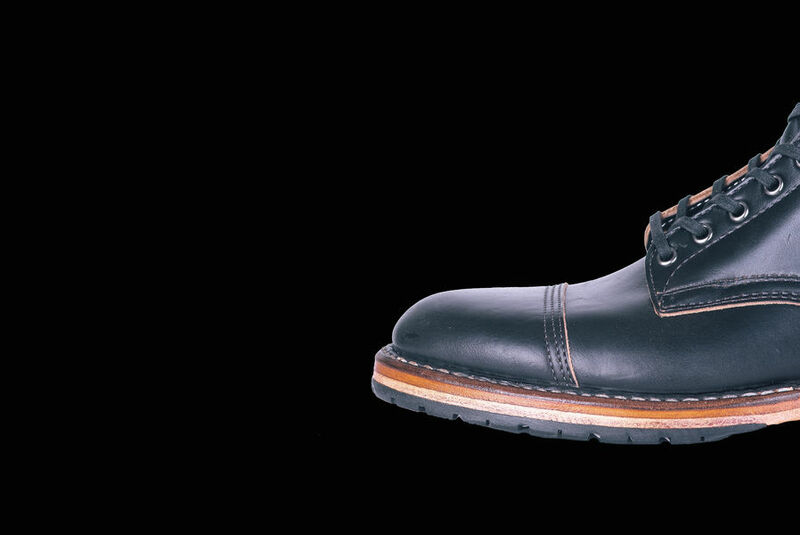 Research the product and make a purchasing decision. Keep an eye on the status bar and note the project end date. Some projects may have minimum quantity thresholds, and many will have maximum units limited by fabric or trim availability. Once you have secured your order, we will send you an order confirmation email and ensure your order is part of the batch. 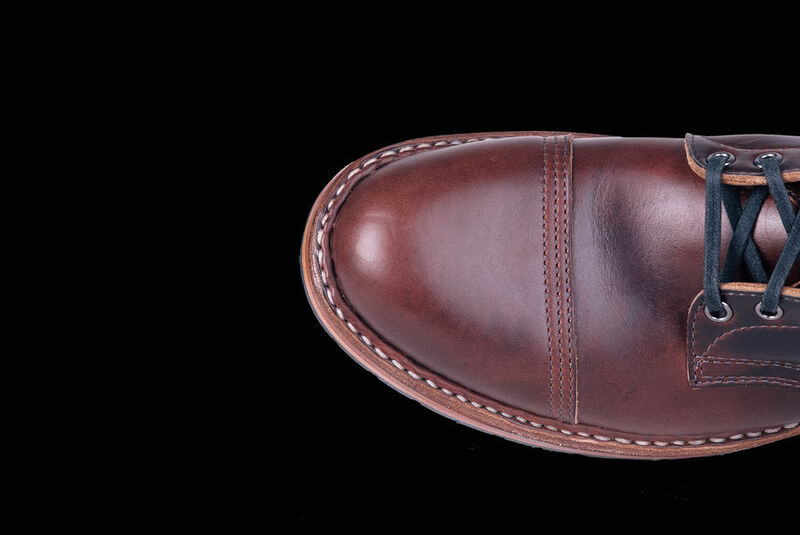 When the product is within 2-3 weeks of delivery, we will send you another email alerting you that the project is completing production and about to ship. Once the product has shipped, you will receive a final email with shipment notification and tracking information. 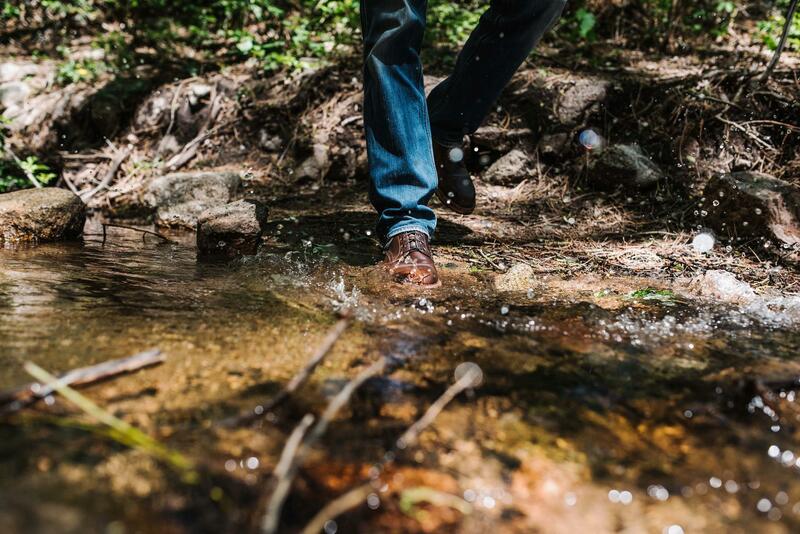 Once your product arrives, use it and share your adventure with us using #tripleaughtdesign. How Long Does It Take To Get My Foundry Purchase? Each project shows the estimated shipping timeframe. 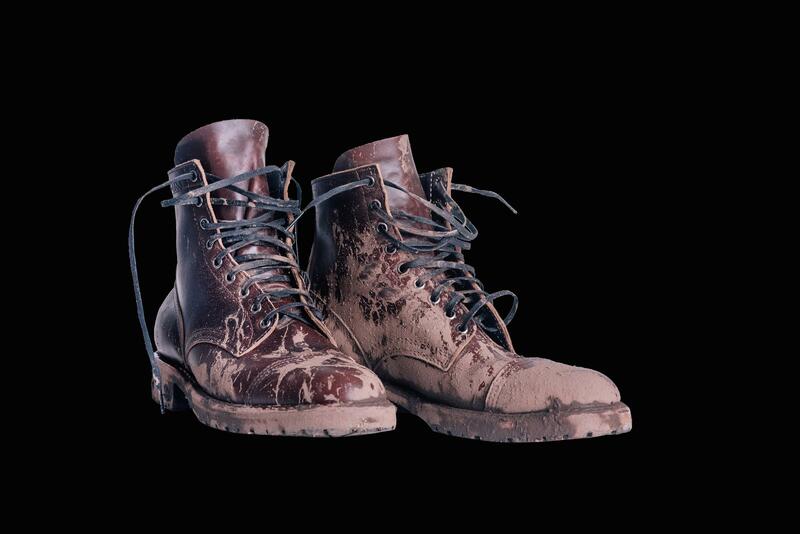 While occasionally some items may ship immediately, most projects will have a 6 to 8 week delay. Once the project ends and production begins, estimated shipping dates will be published. From time to time, issues in production may crop up and we'll let you know if we need to adjust the estimated shipping date. Your card will be charged upon checkout. Will Foundry Products Be Available In Retail? Returns or exchanges may find their way to retail occasionally. Just like normal. Please see our returns policy here. 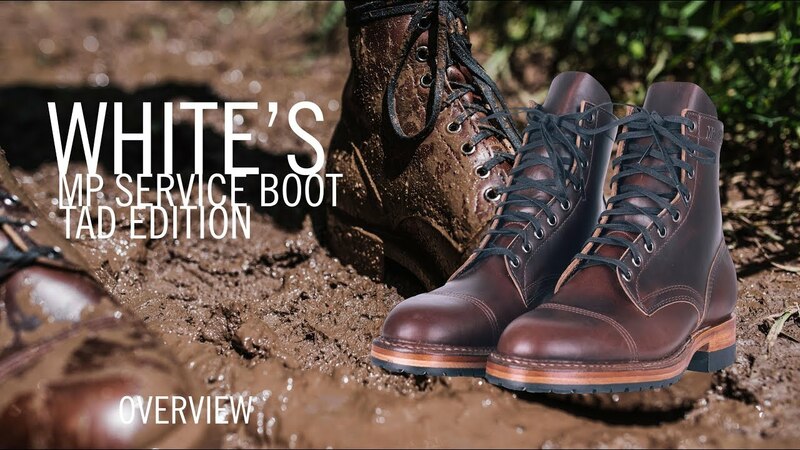 White’s Boots was founded in Virginia over 150 years ago. 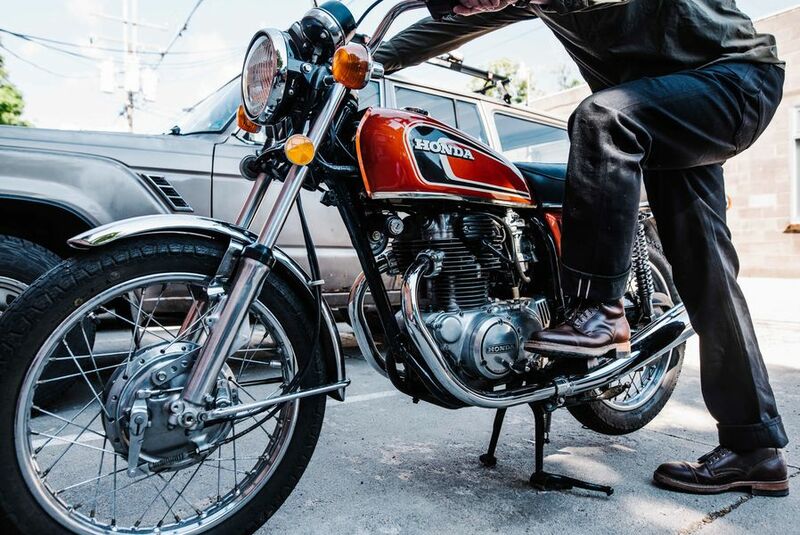 Early in the 20th century they moved to Spokane, Washington. 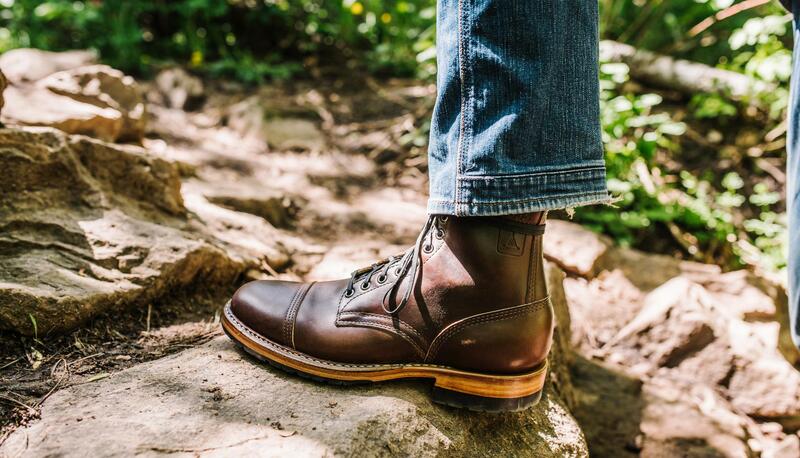 Over their history, White’s has earned their place as a hallmark of American industry, crafting legendary boots for demanding users such as loggers and wildland firefighters. 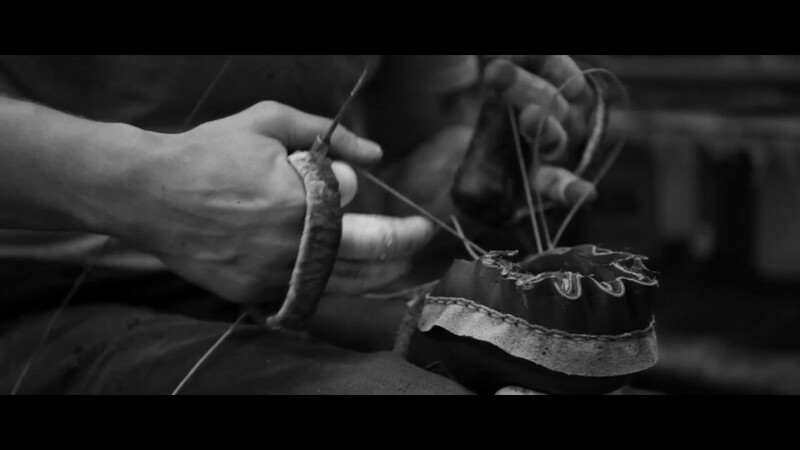 The MP Service Boot is truly handmade: hand sewn, hand lasted, hand welted, and with hand bottomed construction. 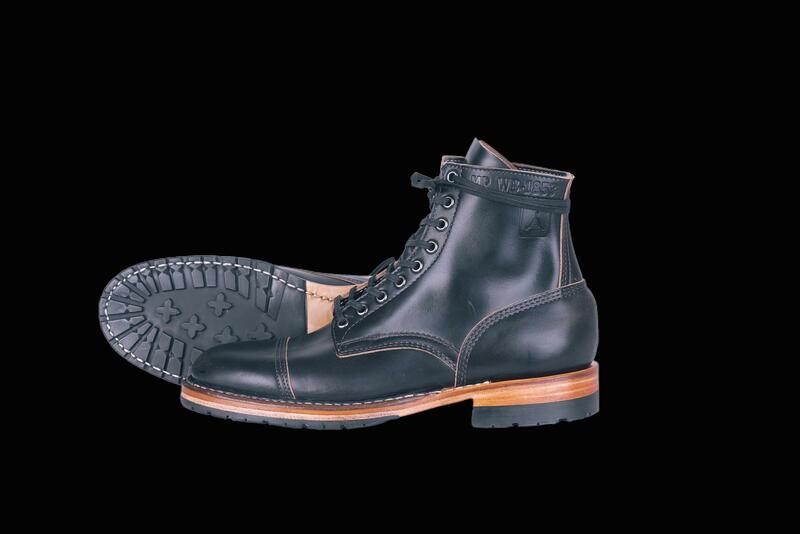 A goodyear welt ensures that the MP Service Boot will be easily resoleable for a long life. 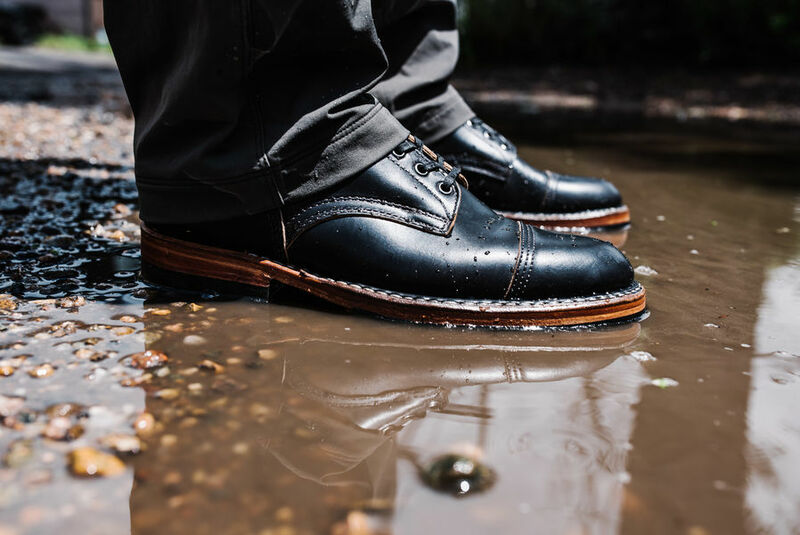 In addition to replacing worn-out outsoles, White’s also offers a service to replace insoles, midsoles, heels, toe leather, and reshape arches. 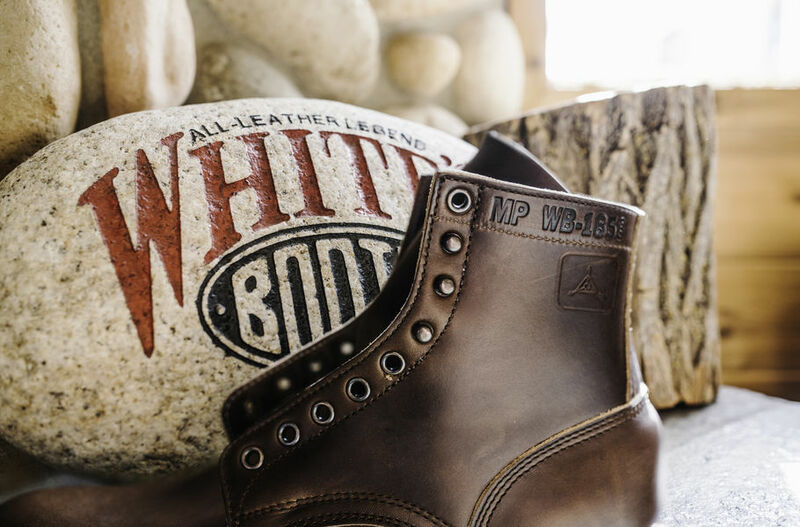 A pair of White’s boots is an investment for a lifetime. 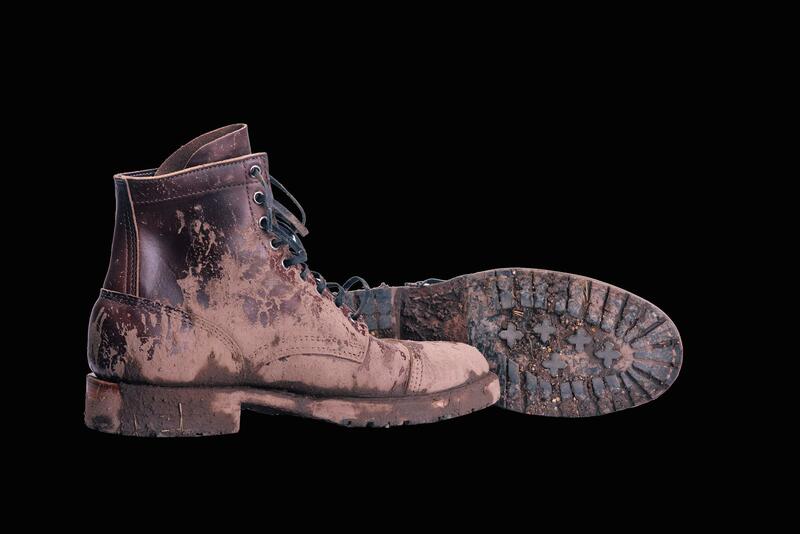 The true double vamp of the MP Service Boot provides support, weather-protection, and stoutness. 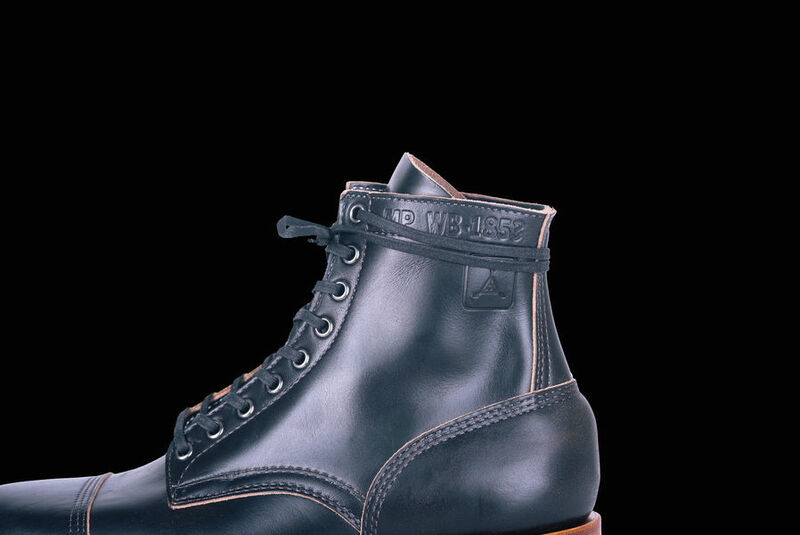 Unique to the TAD Edition is the triple needle stitching on the toe cap. 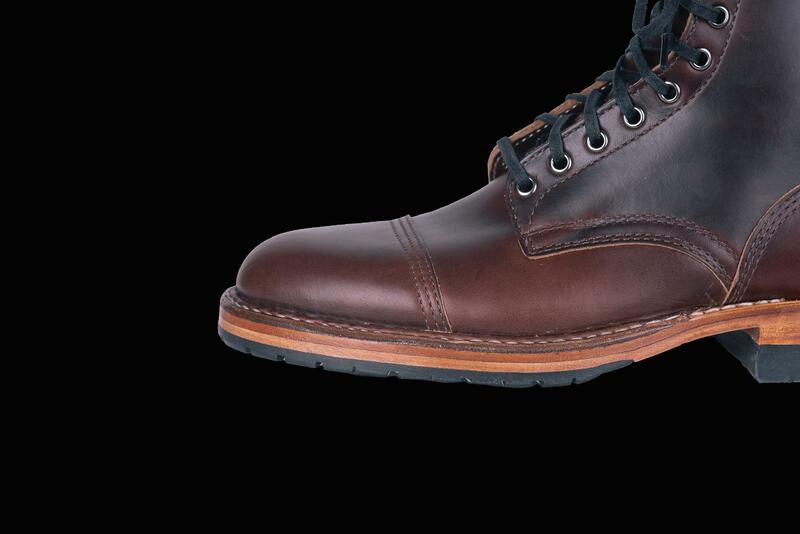 The MP Service Boot is made of Horween’s full-grain Chromexcel leather. 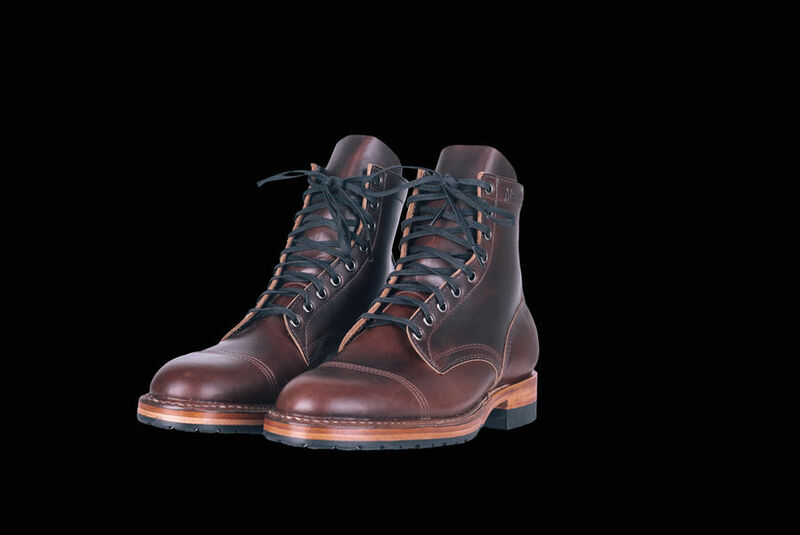 Horween has been making Chromexcel for over 100 years, using a process that takes 28 working days to complete. 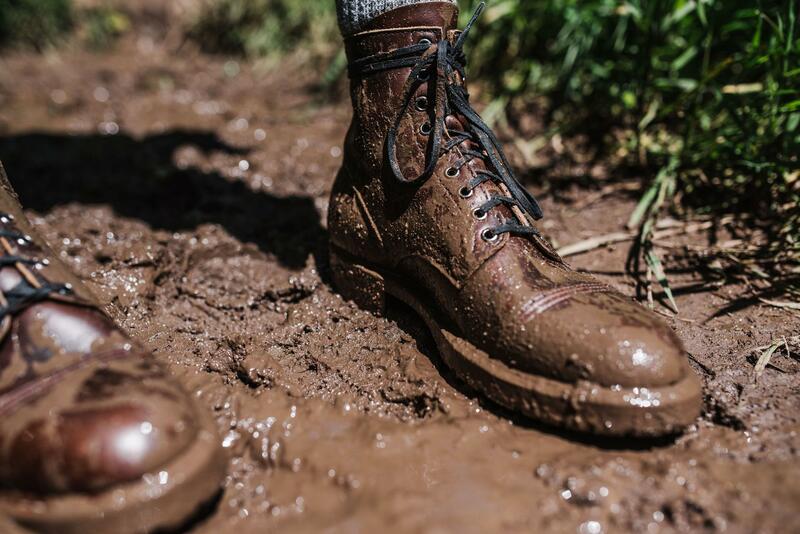 The result is a durable, rugged leather that takes on a distinctive character with use, allowing each boot to tell the unique story of its wear. 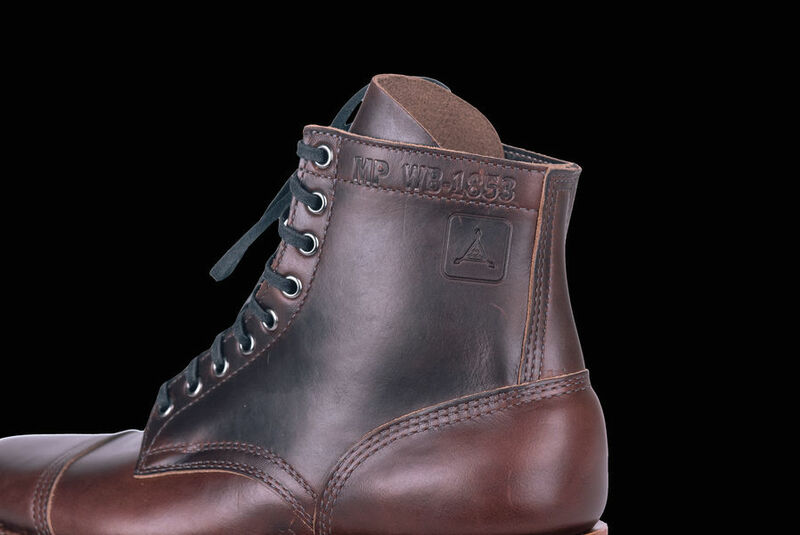 The MP Service Boot features a Commando sole. Invented in 1935 by Vitale Bramante after the loss of his friends due to a tragic climbing accident, the Commando sole is now synonymous with traction on high-quality work and outdoor footwear. Bramante went on to found the company Vibram based on the success of the Commando lug pattern. 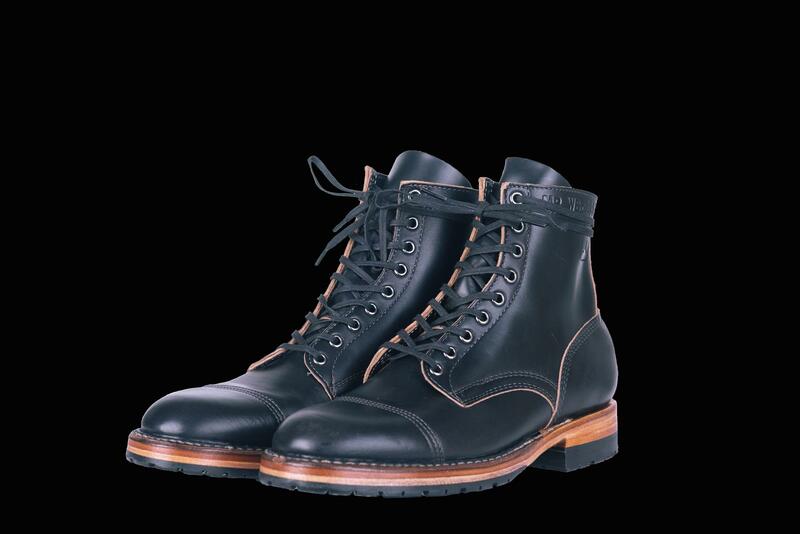 The TAD Edition features gunmetal eyelets, topstitching, and triple-needle toebox stitching. 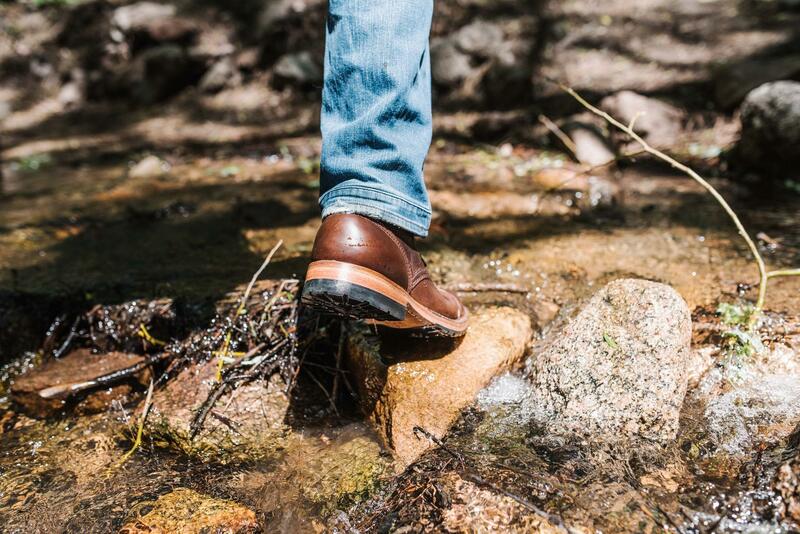 Built on White’s Barrie last and utilizing their Arch Ease™ technology, the MP Service Boot cradles your foot for all-day comfort. 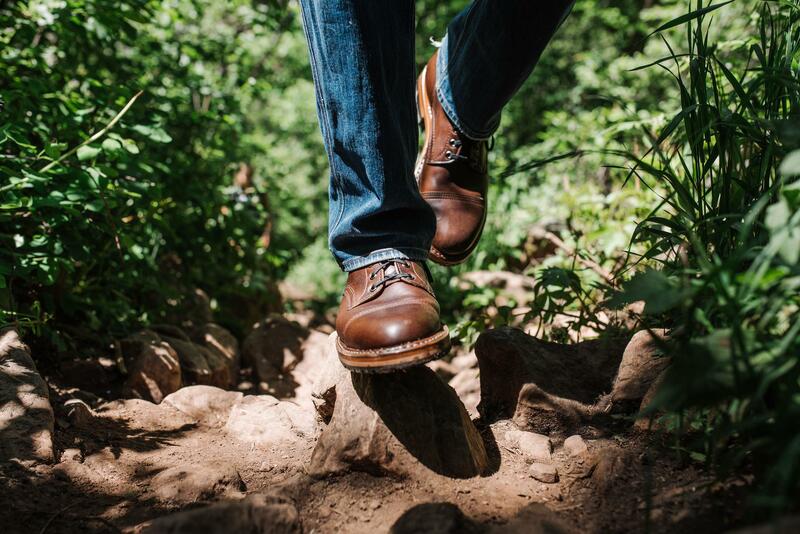 After placing your order, we will send you instructions on how to submit tracings and measurement of your feet. 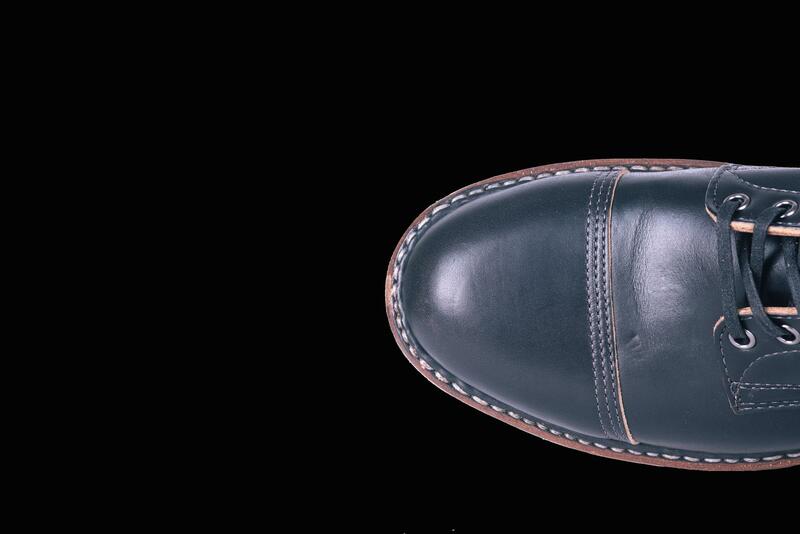 Our Customer Experience team will work with each customer to determine their size. 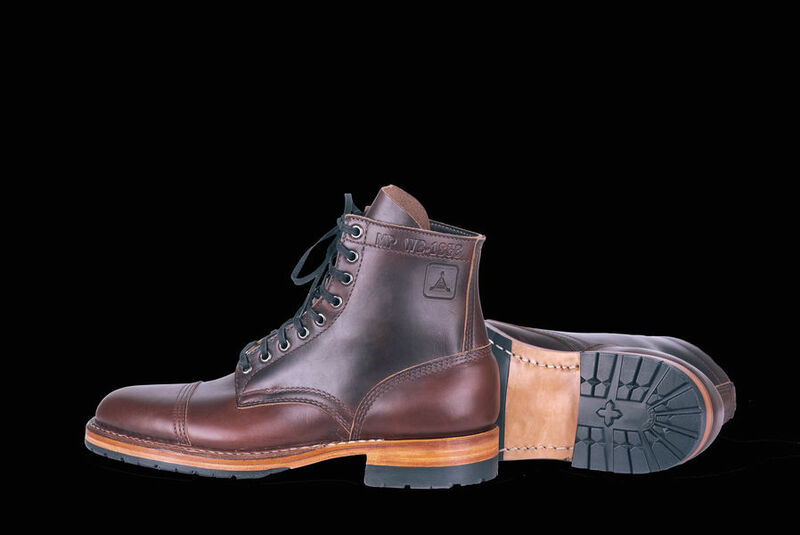 Since White's boots run a little large, customers usually select 1/2 size shorter than their normally purchased boot size.